At Slotsquad, we know how to find the mobile slots that matter, the games with the best payout rates and the ones that work with any smartphone or tablet. Our mobile slot reviews include online slots for IOS, Android, and Windows along with information on where to play and with the best bonuses possible. You can play these slots for free or get real money bonuses if you deposit, and all at trusted UK casinos. New slots from mFortune in 2016 begin with Sherlock Murdered to Death, a mysterious 15 pay line mobile slot with in-play mini games and optional gamble feature. Magical slot from Cozy Games that puts payouts into the potions. Play free or from just 5p per spin on a game that offers up free spins, wilds and 500 coin jackpot. One of the top online slots for IOS displays and a classic fruit machine app in the making, the Get Fruity Slot from Nektan mixes tradition with modern mobile gaming. Irish folklore meets mobile casino in this magical and enchanting slot from Nektan. Riverdance your way to the end of the rainbow for a pot of gold worth an absolute fortune. The exploration of Eldorado begins here with NetEnt’s cult classic now reborn on NetEnt Touch. Gonzo’s Quest for mobile offers tumbling reels and free falls with one of the biggest win multipliers online. Now and again we find one of those mobile slots that just packs a punch. Last Son of Krypton is one of the best superhero slots for smartphone or tablet on 25 pay lines. Adventure mobile casino game from developers Nektan that offers up to 50 free spins and a £250,000 jackpot. Think Lara Croft meets Indiana Jones for some betting. 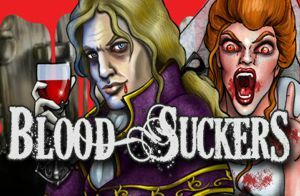 Horror fans and Vampire Slayers will love the stakes in Blood Suckers Touch as players hunt the immortal for cash in the mobile responsive version of the classic NetEnt game. The fantasy debut of Nektan Slots that mixes Lord of the Rings typo with the very best in Touch mobile gaming. Heroic Eye of the Dragon is the perfect fantasy mobile slot. The Fruit Shop mobile slot is a popular classic handheld fruit machine that uses NetEnt Touch Slots technology for responsive gaming on IOS or Android. 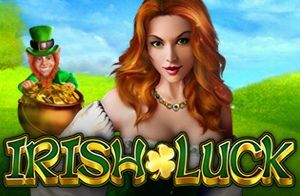 Irish themed slots have long attracted real money casino players for their rewarding big payouts and the possibilities of gold at the end of the rainbow. Is that true? Everything Miss Midas touches turns to gold? That could be the case if you hit the super bet function that sets this game apart. 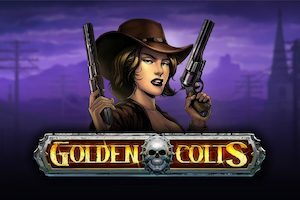 Miss Midas from NexGen offers free spins too! Flowers Touch Christmas Edition is the seasonal upgrade of NetEnt’s popular Flowers Slot. The Flowers are all back, but this time covered in snow. Double Symbols are back too! Mexican party themed mobile slot where players smash pinatas to win real money and spin colossal symbols to spread win line combinations. Features mini-slot game too! Mysterious Jungle themed mobile slot from Nektan with pan pipes, lost treasures, 15 pay lines and an attractive payout rate of 96.6%. Play free or from just 1p per spin. Excellent Marvel super hero mobile slot from Playtech that puts Spiderman against the Green Goblin in a series of battles and bonus features for real money wins. Low cost per play and big possible returns await slots players who dare charm the snake for its free spins and Wilds. Play this quirky 25 pay line slot from Cozy Games. Old school mobile fruit machine concept from NexGen Gaming that offers one of the largest mobile slots jackpots online. Win up to £50,000 with the prettiest jester in the court. Nautical underwater adventure from NetEnt Touch and one of the highest paying mobile slots for tablet and smartphones. Subtopia plays well on IOS and Android. Exclusive mobile slot found at mFortune Casino based on the popular board game of climbing ladders and avoiding snake bites. Win cash if you get to the top! Swashbuckling high seas adventure from Nektan Slots. It pays to be a Pirate looting mobile casinos for cash these days and players won’t mind walking the plank in this one. Las Vegas themed classic slot for tablet and smartphone exclusively developed for Leo Vegas mobile casino. The slots reels can link and expand to increase player wins. Shrek style fantasy meets mobile games in this popular fairytale Nektan slot for iPhone, iPad or Android. Trolls Tale is an enchanting tale of possible win falls and riches.